Oil tank FAQs, help and advice on Oil Tanks. 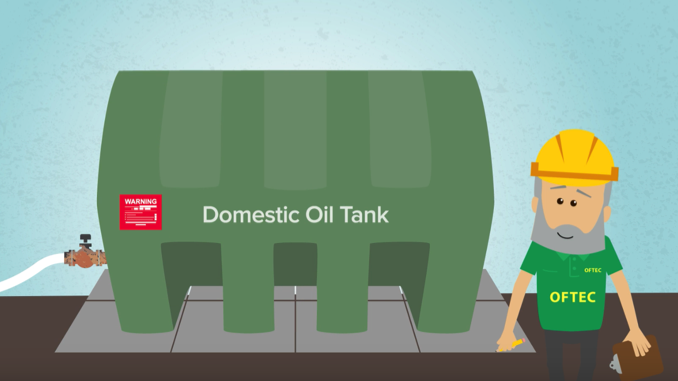 Here are some answers to the most frequently asked questions about domestic heating oil storage tanks. What is a Single Skin Oil Storage Tank? A single skin oil tank is a container in which fuel is stored. There is no bund or catchment area, i.e second skin, and so in the event of a spillage the fuel would be released into the environment. 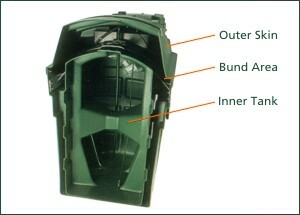 A bunded oil tank is a tank within a leak proof area or a double skinned oil tank (a tank within a tank). Oil is contained in the inner tank and the outer tank acts as protection. They are designed this way for several reasons. The main reason is that should a leak or spillage occur the fuel would be contained in the bund area, but they can also provide additional benefits such as protection from the weather and elements for the inner tank and any fitted equipment. Building regulations advise that all new oil tanks installed are bunded. Oil storage tanks are available in Plastic or Metal. Both have advantages and disadvantages. 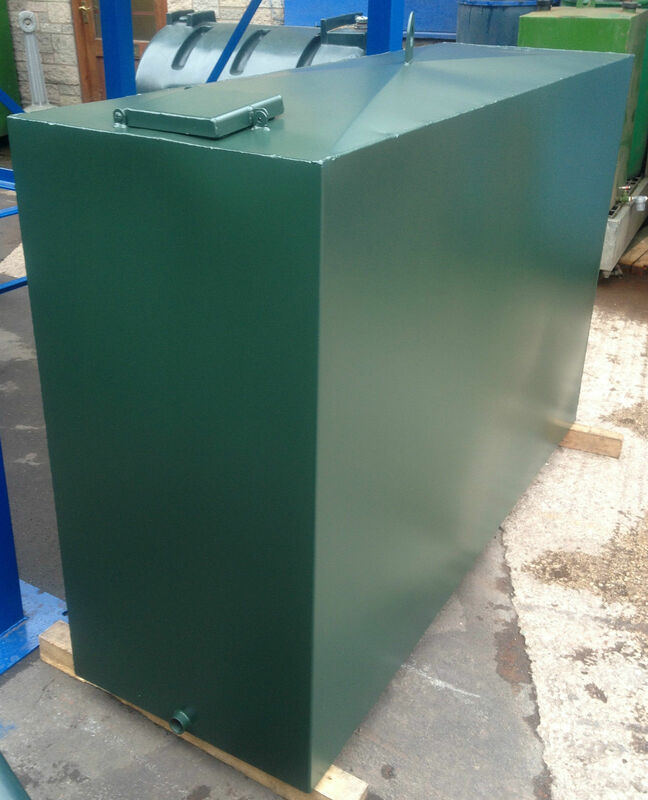 An oil tank has to be a minimum of 1.8 metres away from any part of a building or construction that isn’t fire resistant, such as doors, windows, eves and cladding. Oil storage tank installations need to comply with regional Building Regulations. In England and Wales, OFTEC registered technicians can self-certify their own work without involving Local Authority Building Control. If you choose to use someone who isn’t registered with a ‘Competent Person’ scheme like OFTEC, then you will have to obtain a Building Control Notice. Over 2500 litres – it must have secondary containment (bunding). Up to 2500 litres – it may need secondry containment (bunding) depending on the outcome of an individual site pollution risk assessment. • Supplying heating oil to a building other than a single family dwelling. We would also recommend that you refer to OFTEC for more detailed guidelines and regulations regarding fuel and also see the UK Oil Tank Storage & Building Regulations. We would recommend that you use an OFTEC registered technician to install a new or replacement oil tank as they can self-certify their own work without involving Local Authority Building Control under the ‘Competent Person’ scheme. If you choose to use someone who isn’t registered with a ‘Competent Person’ scheme then you will have to obtain a Building Control Notice. This will require an inspection of your installation which can be both costly and time consuming. Should the installation not meet the requirements then it will need to be corrected, which might incur significant additional costs. To find out more about checking your oil level then click here or to see our guide to gauging click here. CPS Fuels is proud to be an approved JET distributor, giving our customers the benefit of JET’s brand and product security, delivered by friendly people with great local knowledge. 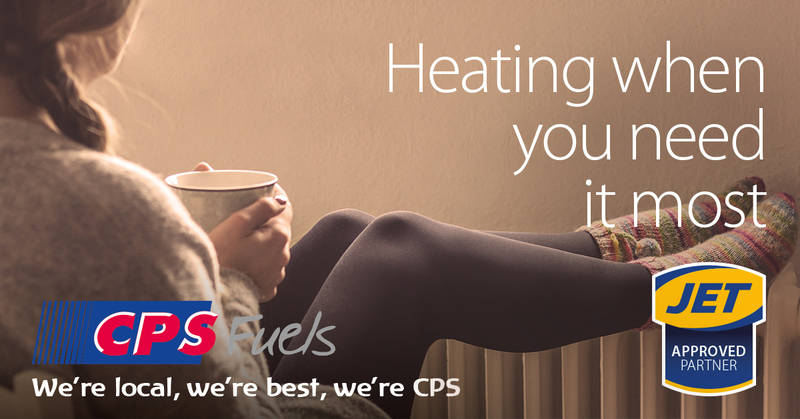 At CPS Fuels we constantly check out prices to ensure we're giving you the best deal possible for your home heating oil. Please get in touch to discuss your home heating requirements. We're here to help any way we can.